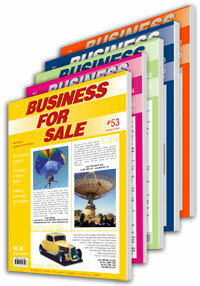 It all started back in 1987 with the print publication, Australian Business For Sale®. Now in its 30th year, Australian Business For Sale® is Australia's longest established small business magazine and, continues to be sold through newsagents nationally. Some of you may still remember October 19, 1987, or Black Monday, when stock markets around the world crashed, resulting in a global recession. Despite those grim economic times, the business flourished, and has continued to grow and expand, withstanding a multitude of economic downturns & booms. Australian Business For Sale's ability to adapt and survive in an ever-changing environment goes to the very strength of our business, and the experience we bring to help our clients achieve their desired result. In our 30 years we have helped thousands of owners of small and medium size enterprises (SME) to sell their business. From the smallest Home Based business to multi-million dollar company's, covering a wide range of industries, from all states of Australia, there is no business we can't accommodate. We have experience and relationships with major Franchise groups, some of which started with as little as 5 franchisees and, with assistance from our marketing, have grown to become national brands! If you decide to use an Agent or Broker, our connections can help you find a suitable Business Broker anywhere in Australia. Today, we can offer our clients a unique, integrated approach to selling their business. This includes a Buyer Matching Service, Support Reports and we are active exhibitors at National Business Opportunity and Franchise Expos around the country, allowing us to connect buyers and sellers throughout Australia. However the most valuable tool we can offer our clients is us; our team of business professionals is here to help you achieve a successful sale, allowing you to move onto the next stage in your life. The name speaks for itself of course. In this directory you will find information on hundreds of businesses for sale, Business Opportunities and Franchise Systems. Available from major newsagents Australia wide, Australian Business For Sale® is a must buy for any astute person wanting to get into business or exit a business.